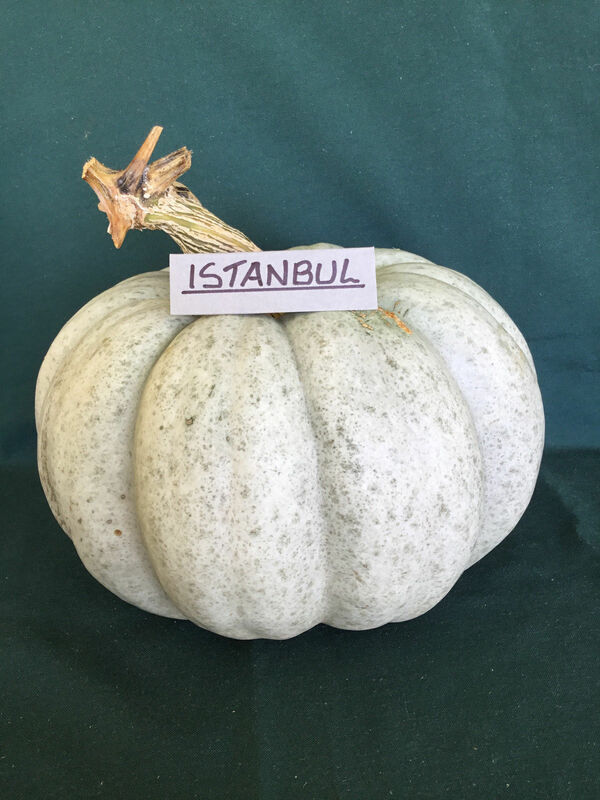 Istanbul (it's local name must be too difficult to translate) is a pumpkin variety that was born and bred in Turkey, using another local variety (Honey Squash) as a parent. The medium to large fruit is round and flattened with heavy ribbing and attractive blue-grey rind. The large vines produce a good crop of fruit ranging from 3kg to 7kg, but heavier is possible, in around 110 days. Inside, the very thick yellow flesh is moist, smooth, medium sweet with good flavour. 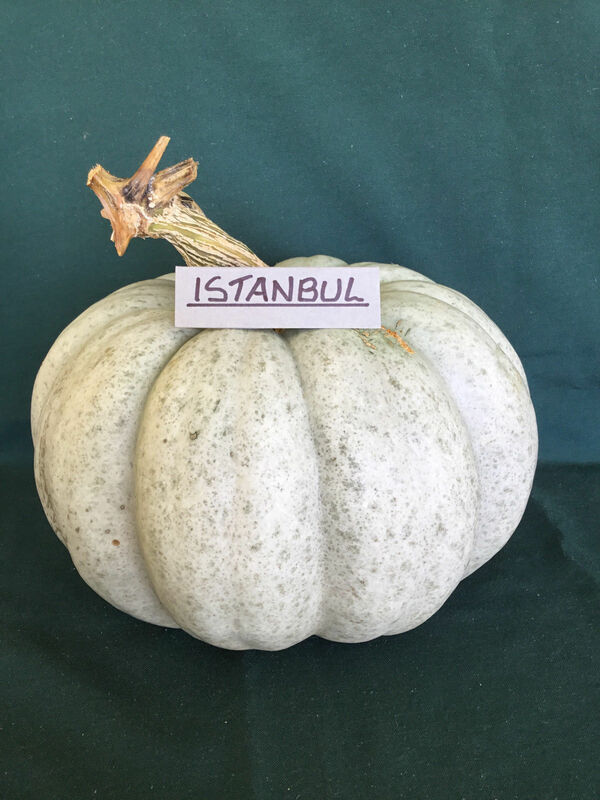 These pumpkins are very dense, hence their weight, with a great amount of edible flesh. Perfect for feeding large families.